NSW Transport Minister Gladys Berejiklian this week released a long list of infrastructure items to be built around greater Sydney under the first round of the Transport Access Program. More than $100 million has been allocated to build key facilities and undertake much-needed upgrade works at railway stations and bus interchanges. Berejiklian says the new Transport Access Program would lead to a better experience for public transport customers across NSW by ensuring infrastructure improvements were delivered in a co-ordinated and integrated way. "In the past, there was no clear logic to why improvements occurred in one place and not another, leaving public transport customers scratching their heads as to how decisions were made," Berejiklian says. "Transport for NSW has now taken over the planning and organisation of improvements which were previously delivered under six separate programs by different agencies, meaning the community can now have confidence that works will be delivered where and when they are needed most." Berejiklian says the first projects to be undertaken as part of the program would see improvements at more than 35 locations over the coming months. This included more than $82 million of works on a brand new station at Flinders in the Illawarra, a major upgrade at Cardiff Station in the Hunter, upgraded interchanges at Fairfield and Sutherland, and an upgraded ferry wharf at Balmain. "The first projects have been selected by Transport for NSW because they’re much needed but also ready to go," Berejiklian says. "This is great news for train, bus and ferry customers who will notice interchange, station and wharf improvements every day they use them." 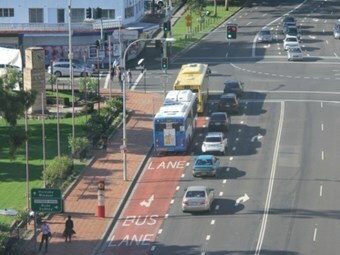 Berejiklian says more planning and design work will now occur to see which projects will come next, based on evidence-based criteria including current and future patronage, the needs and demographics of customers who use the location, whether important services such as hospitals or educational facilities are nearby, and the accessibility of other nearby transport interchanges and facilities.